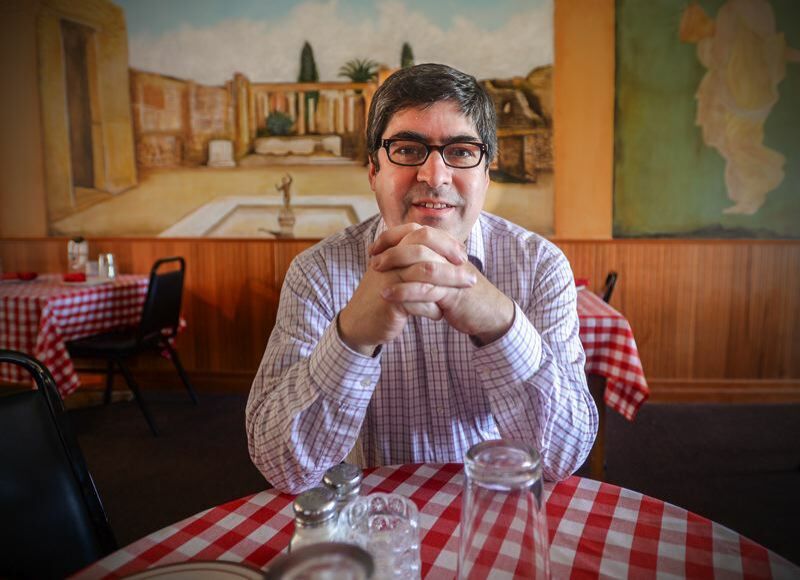 Saul Pompello is owner and operator of Ristorante Di Pompello in downtown Troutdale. In regard to the curb extensions projected in downtown Troutdale you need to know your choices. Multnomah County is planning to install curb extensions in downtown Troutdale on the south side of the Historic Highway, at the intersections of Southeast Dora Street and Southeast Harlow Avenue. Because of the location of these intersections, the intended curb extensions will not leave enough space between the crosswalks for a vehicle to park. The projected curb extensions would limit the parking availability and accessibility for handicapped persons and seniors to the businesses they visit. This project is not part of a master plan for the city of Troutdale. We are looking for a project that considers the Master Plan for the city of Troutdale, not only curb extensions, where parking, safety and accessibility are all considered. In order to have a friendly environment for pedestrians, people with disabilities and general public we need an inclusive program where all the community is given an opportunity to express their views and concerns. Because of the location of downtown Troutdale, winds are known to be stronger than other areas. Therefore, seniors and persons with disabilities look for parking spots close to the businesses they visit. Furthermore, reducing the number of parking spots will have an impact on the accessibility to the businesses and against the number of employees required. • Limit the curb extensions to one on each intersection, instead of two, providing a safe space for pedestrians to cross the street and use the remaining space as a loading and unloading zone. Currently there are groups of people (mainly seniors), who visit the area and do not have a designated area to load and unload their buses. • Place the curb extensions farther apart to give a safe crossing point at the beginning and one at the end of the corridor. • Create perpendicular parking spaces on Historic Columbia River Highway, instead of parallel parking, which will ease parking for visitors to the area. • Designate one way only for Southeast Dora Street and Southeast Harlow Avenue, to allow enough space on these two streets for additional perpendicular parking. We want to reiterate our interest in a friendly downtown that takes into account the opinions of the entire community.